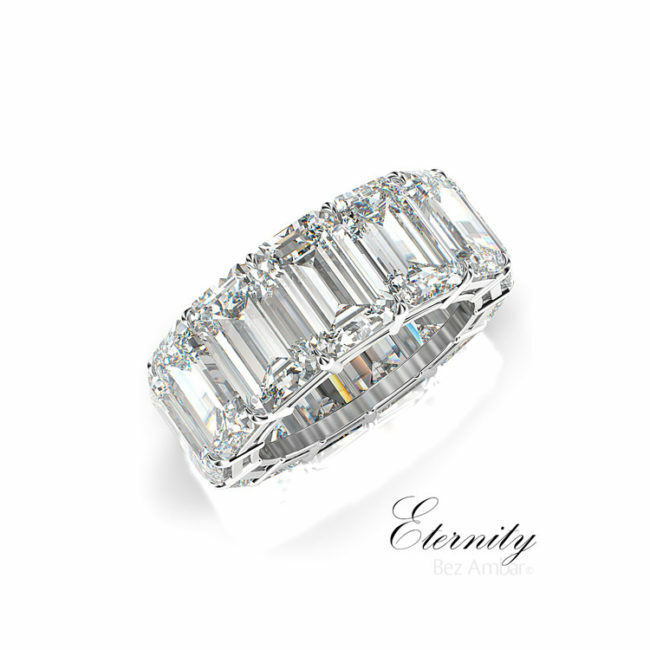 Marriage is forever, so your wedding ring should be timeless. Bez Ambar specializes in producing wedding rings women adore, and pass down as heirlooms for generations. These vintage-style wedding rings feature Bez’s patent cut, the Blaze cut, in white, yellow, and rose gold with beautiful arcs framing them.